This clinically oriented book provides an overview of current concepts and clinical practices for managing occlusion in restorative dentistry. 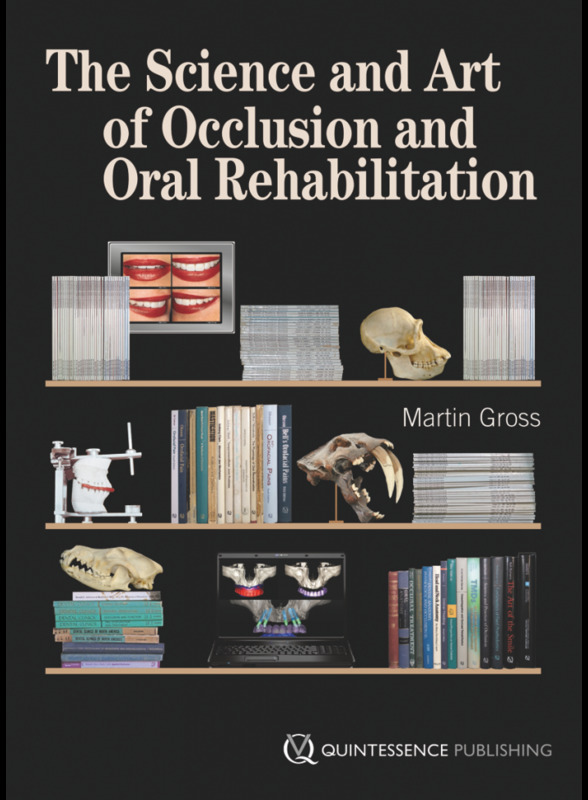 This book fulfils the need for an up-to-date extensive evidence-based text encompassing didactic and clinical fields relevant to occlusion and oral rehabilitation that reflects changing paradigms, concepts, new clinical disciplines and expanding therapeutic options. The introduction delineates the distinction between science and the clinical art, application of the best available evidence, the scientific method and poses basic clinical questions related to the challenges of restoring the dentition and the dental occlusion. The first section of the text covers evolution of the masticatory system, growth and development, neuromuscular physiology, orofacial pain, neuroplasticity and biopshychosocial concepts of pain and TMD. Masticatory oral function, bruxism and dysfunction, and the latest concepts of temporomandibular disorders are reviewed together with the biomechanics of the human skull. The second section addresses fundamentals of occlusion; functional anatomy of muscles, TMJs, mandibular dynamics, the class I occlusion and fundamentals of esthetics. Natural variety of morphologic skeletal, dental, occlusal variants and occlusal interferences are covered in a separate chapter. The three major components of the masticatory system, posterior occlusal support, vertical dimension of occlusion and anterior (excursive) guidance are each addressed in separate extensive chapters reviewing each topic in depth. The third clinical section starts with chapters on occlusion in implant dentistry and dental articulators. The following chapter presents current diagnostic and treatment planning methodologies followed by chapters on restoring class I, II, and III dentitions and aberrant jaw relations. A special chapter on esthetic perspectives features three invited international renowned clinicians presenting cases representing esthetics and the current highest state of the clinical art. Dr Stefano Gracis, Dr Inaki Gamborena and Dr Konrad Meyenberg. Further chapters detail the restoration of the periodontally involved dentition, treating and restoring severe tooth wear and bruxism, implant supported restoration and computer assisted implant planning and placement, and finally the management of temporomandibular disorders. Contents Chapter 01: Occlusion: State of the Science, State of the Art Chapter 02: The Human Masticatory System Chapter 03: Fundamentals of Occlusion Chapter 04: Posterior Support Chapter 05: Vertical Dimension of Occlusion Chapter 06: Excursive Guidance Chapter 07: Occlusion in Implant Dentistry Chapter 08: Dental Articulators Chapter 09: Treatment Planning and Diagnosis Chapter 10: Restoring the Occlusion: Restorative Considerations Chapter 11: Restoring Classes II and III and Aberrant Jaw Relations Chapter 12: State of the Art: Esthetic Perspectives Chapter 13: Restoration of the Periodontally Involved Dentition Chapter 14: Treatment of Severe Tooth Wear and Bruxism Chapter 15: Implant Supported Restorations Chapter 16: Management of Temporomandibular Disorders Index Martin Gross BDS, LDS, MSc. Martin graduated BDS, LDS at Guys Hospital Dental School, University of London in 1971. He obtained his Masters in Prosthodontics at Northwestern University Dental School, Chicago in 1974. Private practice London - Registrar Guys Hospital. Faculty TAU Dental school departments of occlusion and department of prosthodontics 1978-2009. Specialist in Prosthodontics. Associate Clinical Professor in Oral Rehabilitation. Director of Postgraduate Specialty program TAU 1997-2009. Served as president of the International College of Prosthodontists 2011-2013. Currently involved in clinical research and private practice.